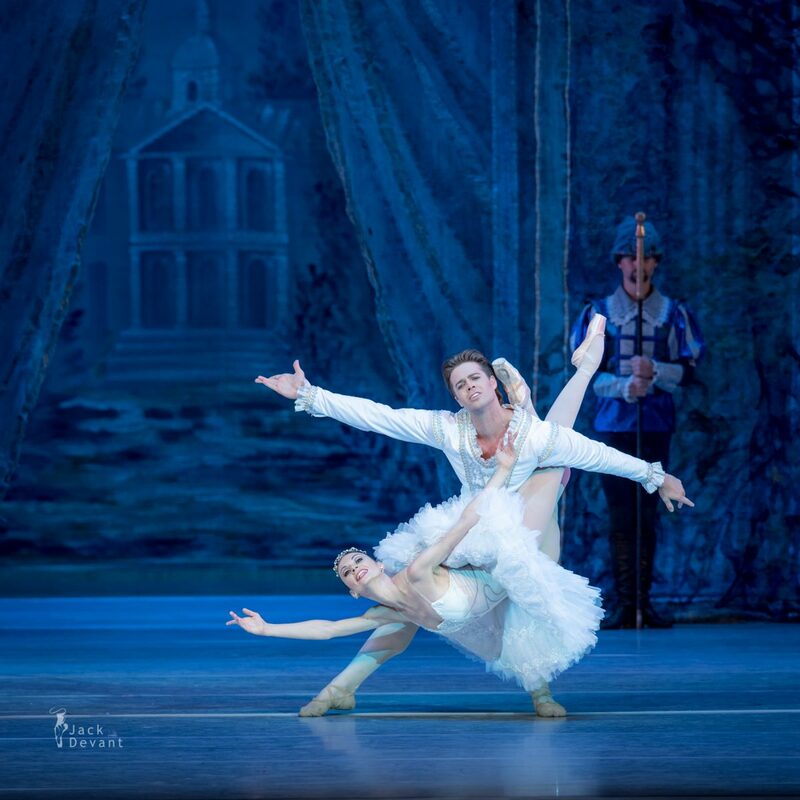 Liudmila Konovalova as Princess Aurora and Matthew Golding as Prince Desiré in The Sleeping Beauty, music by Pyotr Tchaikovsky, choreography by Marius Petipa and Andrey Petrov. Shot in the State Kremlin Palace on 27.9.2015, Moscow. 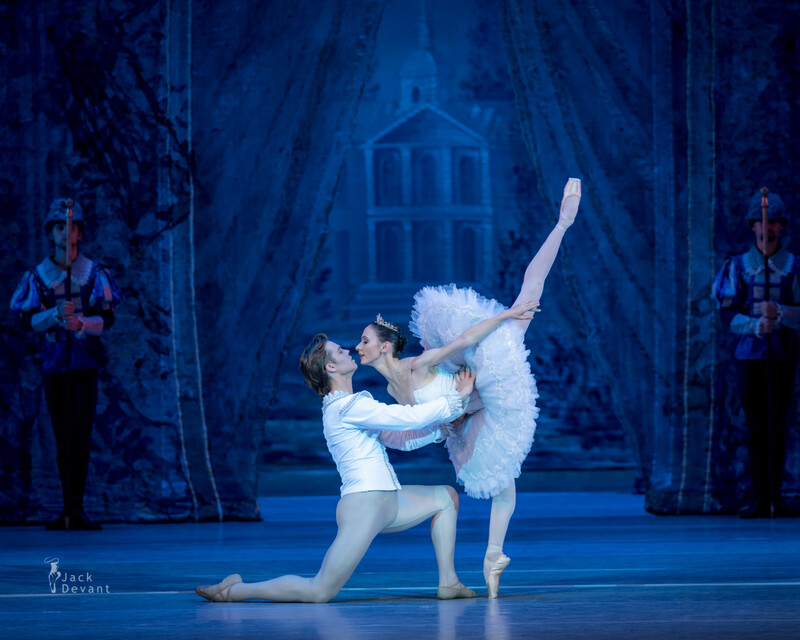 Liudmila Konovalova is currently a Principal with Wiener Staatsoper ballet company. Liudmila was born in Moscow, Russia. 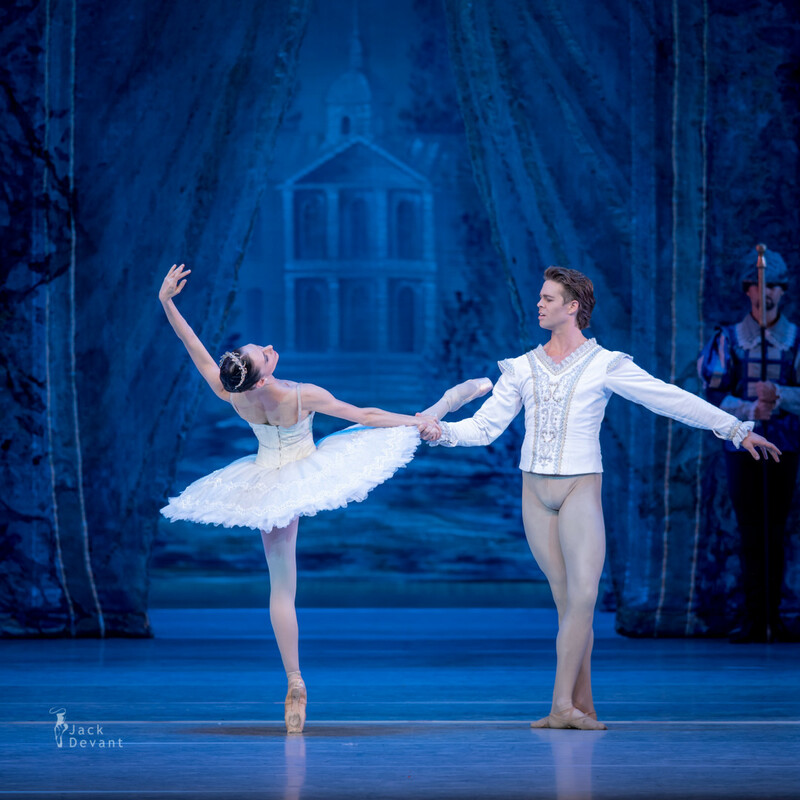 She graduated from Moscow Bolshoi Ballet Academy and joined the Russian State Ballet in 2002. In 2004 she was appointed First Soloist. In 2007 she joined the Staatsballett Berlin and was appointed Soloist in 2009. In 2010 she joined the Wiener Staatsballett as a Soloist. In 2011 she was appointed First Soloist. Matthew Golding is a Principal of The Royal Ballet. He was born in Saskatchewan, Canada and from the age of 14 trained at the Royal Winnipeg Ballet School, joining the Universal Ballet Academy in Washington D.C. aged 16. In 2002 he won the Youth America Grand Prix and a Prix de Lausanne scholarship to study at The Royal Ballet School. In 2003 he graduated into American Ballet Theatre. 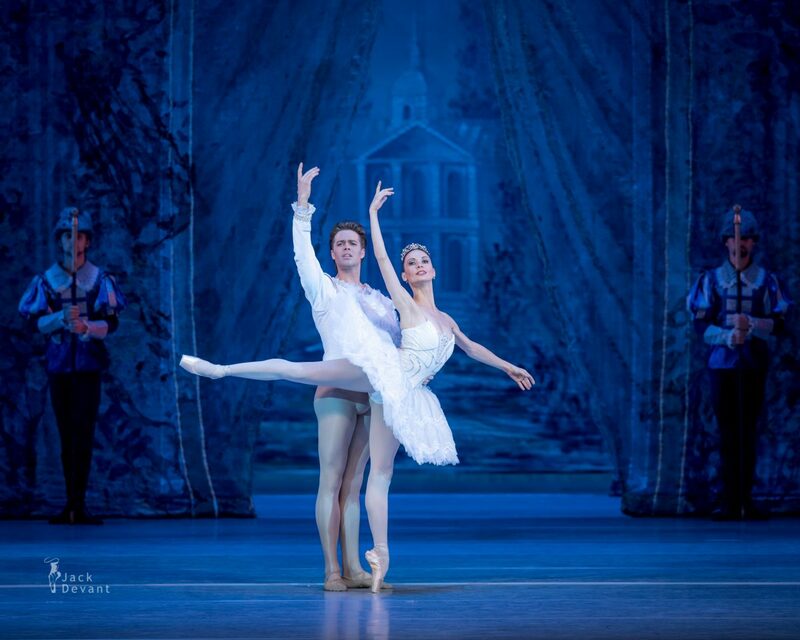 In 2009 he joined Dutch National Ballet as a second soloist and was promoted to principal in 2010. 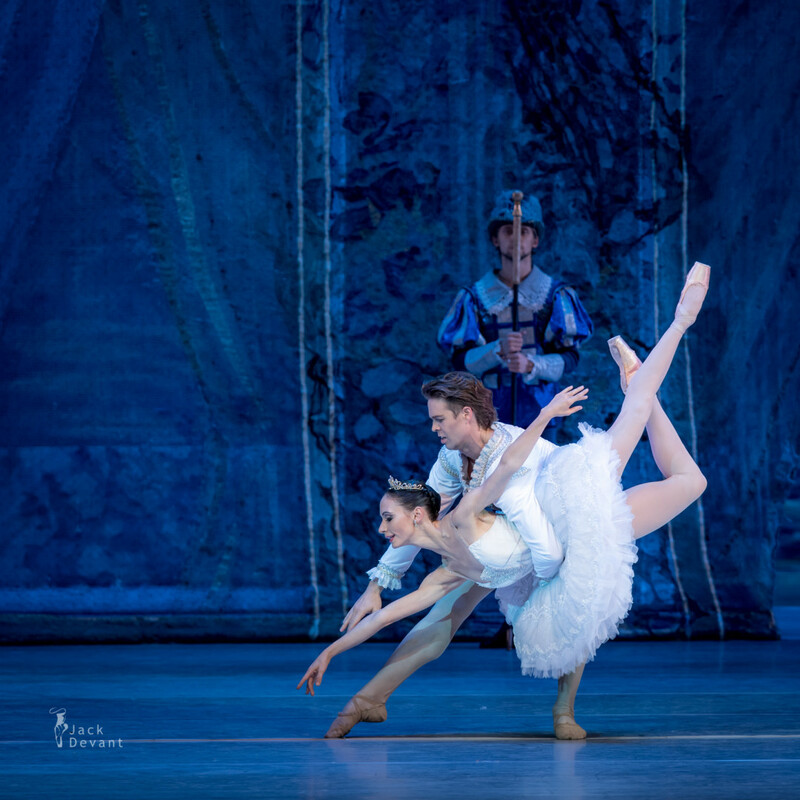 He joined the Royal Ballet as a Principal Dancer in February 2014. Andrey Petrov (Rus Андрей Петров) is National Artist of the Russian Federation, the winner of the Award of Moscow, the Professor of the Moscow State Academy of a Choreography, the Artistic Director of «The Kremlin ballet» theatre. In 1965 after the graduation from the Moscow Choreographic School Andrey Petrov was invited in the Bolshoi theatre where throughout more than twenty years has acted about fifty solo parts. Since 1977, after graduation from GITIS (class of R.Zaharov and E.Changa), he starts staging ballets of his own. While dancing at the Bolshoi theatre, within two years Andrey Petrov passed his training at the chief ballet master of the theatre Jury Grigorovich. In 1990 he founded the «Kremlin ballet». The stage of the Kremlin Palace of Congresses. 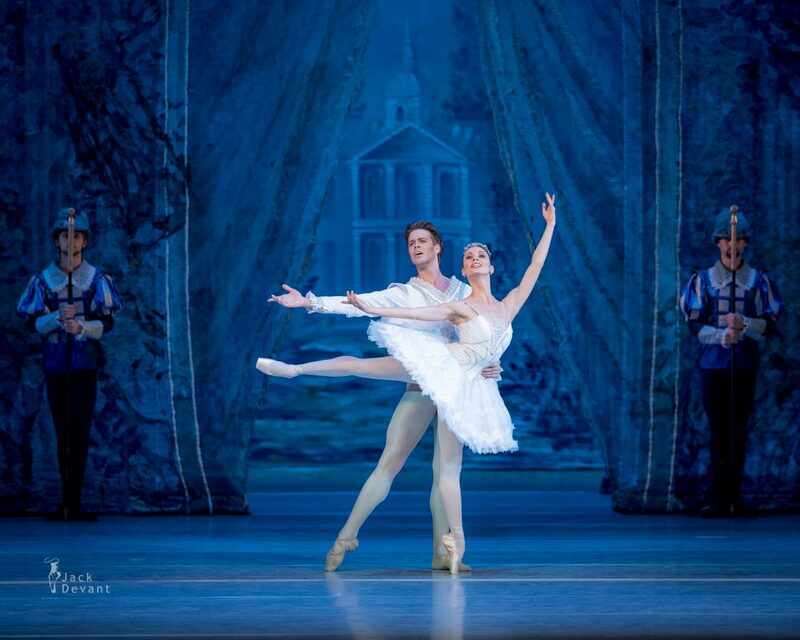 Photo by Jack Devant ballet photography © with kind permission of the State Kremlin Palace, special thanks to Alisa Aslanova.